If you would like more information upon our range of Dining Tables contact The Dorking Desk Shop. 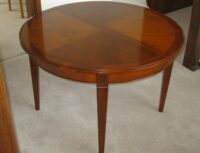 Fine quality Regency mahogany dining table. 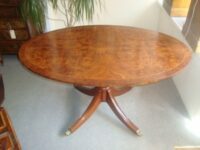 Good quality Georgian mahogany drop-leaf dining table. A country made solid oak barley twist gateleg table.